The Bed and Breakfast Dolce Lario is located just few minutes from downtown; it is surrounded by the greenery of a large private garden where you can relax at the shadow of many fruit trees, pines and birches. The B&B Dolce Lario has a calm and green surroundings, only 5 minutes from the historical center and few kilometers from great attractions like Brunate, Cernobbio, Laglio, Menaggio, Tremezzo and Bellagio easily accessible by public transportation. In fact, at 100m there are bus stop and train station linking Como and Milan. 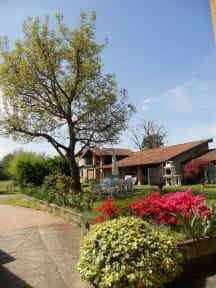 The B&B offers its guests an unforgettable stay in the magical environment of Lake Como and its valleys. It is an ideal base to visit Como, the nearby Switzerland, Milan and other cities of art and the beauty of Lombardy. 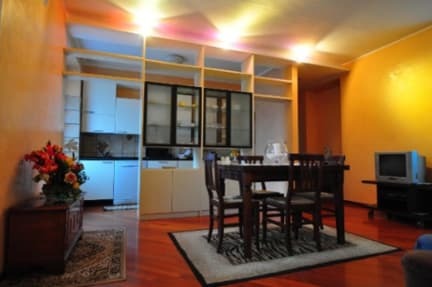 The prices are comprehensive of: stay, parking, breakfast, use of the kitchen and common living room. Prior notice usability barbecue. Wifi in room.